A five-part series from Vermont PBS that explores what makes Vermont a trailblazing progressive force that impacts the entire country. Explore the character of the ‘Brave Little State’ of Vermont and the shared values that matter most to Vermonters, regardless of party affiliation. Although it may be one of the smallest states, Vermont was the first to abolish slavery and legalize civil union, and boasted two presidential candidates and two high profile senators. From Gov. Phil Scott to former presidential candidate Howard Dean, politicians and the journalists who cover them explain what makes Vermonters tick and how ‘who’ is more important than their party affiliation when it comes to politics in Vermont. U.S. Senator Jim Jeffords’s opposition to the policies of the George W. Bush administration forced him to defect from the Republican party in 2001 to become an Independent and caucus with the Democrats. This caused a historic shift in power in the U.S. Senate. All eyes were then focused on the state of Vermont and its daring senator who stuck to his principles. Millennial delegates Democrat Ashley Andreas and Republican Paul Dame attended their respective party conventions in 2016 and left with distinctly similar experiences. They share what they hope for the future of Vermont and how the next generation of political game changers can make a difference in the lives of Vermonters. The 1980s introduced Ronald Reagan and his conservative politics to the nation. But in true Vermont fashion, the state’s biggest city swung to the left voting Bernie Sanders, a self-proclaimed Socialist, into the mayor’s office by a mere 10 votes. Since then, Burlington has been a bastion of progressive politics setting an example for the state and the nation. Examines the influx of back-to-the-landers, peace activists, and disenfranchised youth who flocked to Vermont in the 1970s in search of a different way to live. In the process, they precipitated progressive social and political change in the state that impacts Vermont to this day. 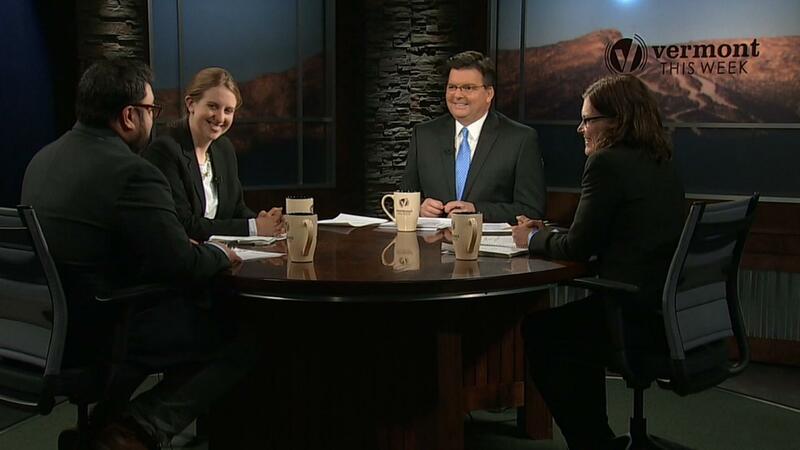 October 2006 - candidate Bernie Sanders interviewed live in the Vermont PBS studio. U.S. Senator James Jeffords , I-Vt., interviewed August of 2004 at Vermont PBS studio.